Bahasa Melayu (Malaysian Language) like other languages has borrowed a number of words from other languages. 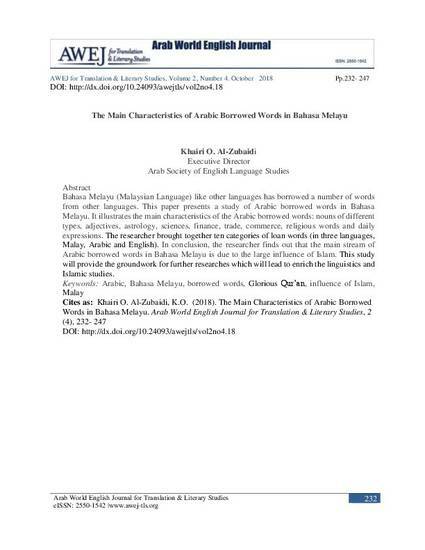 This paper presents a study of Arabic borrowed words in Bahasa Melayu.  It illustrates the main characteristics of the Arabic borrowed words: nouns of different types, adjectives, astrology, sciences, finance, trade, commerce, religious words and daily expressions. The researcher brought together ten categories of loan words (in three languages, Malay, Arabic and English). In conclusion, the researcher finds out that the main stream of Arabic borrowed words in Bahasa Melayu is due to the large influence of Islam. This study will provide the groundwork for further researches which will lead to enrich the linguistics and Islamic studies.